Well-heeled and educated but still calculating, Tong craves more bang for his buck when he spends. "Good things do not necessarily come at high prices," Tong believes. Tong spent nearly 20,000 yuan ($2,913) on online shopping last year, and most of the money went to domestically manufactured products instead of pricey big international brands. "Don't label me 'consumption downgrading,'" Tong said. "I just value quality over vanity now, but aesthetics and style do also matter." Tong is one of the estimated 250 million new middle-class consumers according to business writer Wu Xiaobo's definition. These consumers, most of whom are well-educated, are more rational in purchasing decisions, putting more emphasis on the products' overall value rather than just their brands. Tong's purchases are mostly made via two online stores: Xiaomi Youpin and NetEase Yeation, each being e-commerce platforms from technology tycoons that branched out, which sell a wide range of products from smart TVs to electronic toothbrushes and feature styles such as normcore and simplicity. While selling products made within the Xiaomi group, Youpin also sells selected items from third-party manufacturers. Health, smart products and housewares such as fingerprint locks and wall-mounted washing machines were the best-selling products on Youpin last year. NetEase Yeation, on the other hand, mainly follows the factory-to-consumer (F2C) approach, or the original design manufacturer model, in which the company partners with makers of high-quality goods and sell directly to consumers, shortening the supply chain and cutting brand premium. Established e-commerce players like Taobao and JD.com have also rolled out their own version of a premium e-commerce platforms to gain a slice of the niche market. Domestic internet market observer iiMedia Research forecast that e-commerce players will gradually expand from online platforms to offline stores and integrate their strengths to offer consumers a smoother shopping experience. 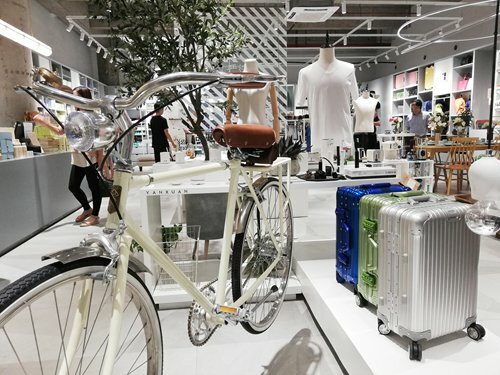 Xiaomi Youpin opened its first brick-and-mortar store in the eastern Chinese city Nanjing last May. NetEase Yeation's first physical store opened at its headquarters in Hangzhou last December. The latter even partnered with a start-up hotel to showcase its products. Premium e-commerce platforms are likely to encounter challenges in quality monitoring, after-sales service and product diversification as they grow, just as their traditional peers did, Cao predicted. These e-commerce platforms' moves are also promoted by the country's consumption stimulus policy and people's rising purchasing power. China has also launched various measures, including increasing the supply of goods and services, reducing tariffs, expanding imports and introducing policy incentives for cross-border e-commerce. The pro-consumption policies introduced last year have pushed an upgrade to consumption by better matching the high-end demands with high-quality supply, Chen Lifen, researcher of the Ministry of Commerce (MOC) said. MOC data showed China's retail sales of consumer goods reached 34.5 trillion yuan in the first 11 months last year, up 9.1 percent year-on-year, with consumption contributing to 78 percent of Chinese economic growth. 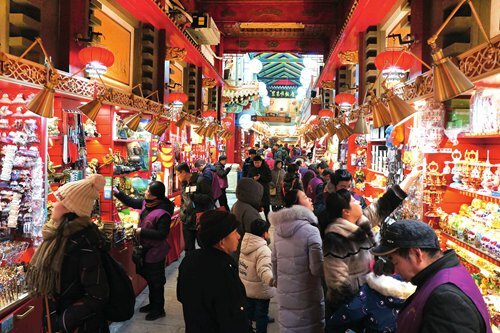 The three-day New Year holiday saw a robust start to China's consumption market in 2019, with the retail sales of 60 Beijing-based business service companies hitting 3.01 billion yuan during the period, up 6.3 percent year-on-year, official data showed. Moreover, consumption is expected to remain the largest contributor to China's economic growth in 2019, Wang Bin, deputy director of the Department of Market Operation and Consumption Promotion at the MOC, said at a recent meeting. Consumption is expected to contribute to 65 percent of overall economic growth in 2019, with an expected 9 percent increase in total retail sales of consumer goods, Wang said. China has just announced individual income tax deductions to lower the tax burden of the residents with certain expenditures. The move, which went into effect on the first day of this year, is expected to further stimulate consumption.